Education leaders are making last-minute appeals amid turmoil over the government’s proposed Higher Education and Research Reform Amendment. The reforms include the biggest Commonwealth Scholarships fund in Australia’s history, which hopes to enroll at least 80,000 more students into university over the next four years. An area of contention, however, is the government’s plan to slash $2bn from universities and deregulate fees, which some argue will ultimately increase the fees students pay. On Monday, Universities Australia (UA) Chief Executive Belinda Robinson issued an urgent plea to Senate crossbenchers to put aside months of infighting and pass the long-awaited reforms that include limiting funding cuts to universities and HECS fees. However, the National Tertiary Education Union (NTEU) and the National Alliance for Public Universities have opposed UA’s campaign, claiming that despite amendments, the reforms do not reflect the will of the majority. 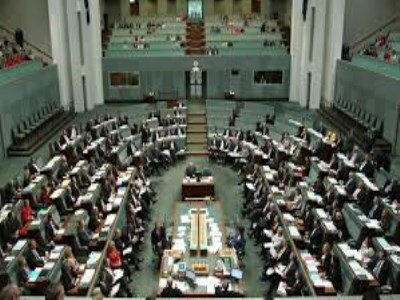 An analysis by the NTEU of submissions made by individuals about the government’s reform found that 90% overwhelmingly rejected the proposed bill. “Forty six individuals, including students, parents and staff that work at our universities, were strongly opposed to the Government’s proposed policies and only three were strongly supportive,” Jeannie Rea, NTEU National President said. Arguably the biggest area of contention is the proposed deregulation of fees, which the UA fears will negatively affect regional campuses. To cushion the impact, the UA has proposed a structural adjustment fund to ensure that regional campuses are protected from a sudden shift to an open market for student places and fees. Under the proposed reforms, the government aims to deregulate university fees, extend commonwealth support to private providers and cut the per-student funding level. The UA seeks to abolish the plan for a real interest rate on HECS, lower the extent of university funding cuts and fund an assistance package to assist students who are disadvantaged and who live in regional areas. Professor Stephen Parker of the University of Canberra has also been fiercely at odds with the government over its education reform, and, like the NTEU, believes the UA’s campaign isn’t doing the sector any favours. “It is kind of Orwellian doublespeak to claim that it is fair to students when university students are manifestly the losers,” Parker said. The Higher Education and Research Reform Amendment was originally expected to pass the Senate last week but will now likely not pass until sometime in December.